This has been one of those weeks where my anxiety has gotten the best of me. This has been a week of heart racing panic attacks, difficultly falling asleep, nearly unbareable self consciousness and probably really desperate sounding text messages to my friends (I'm sorry about that, by the way). In the back of my mind, I know that these feelings aren't logical. But when I think to myself, "Snap out of it," I only end up feeling worse. But, after reading an article about actor Jared Padalecki's openness about his mental health and his fans' support of him, my anxiety finally began to dissipate because I finally stopped feeling ashamed. I stopped feeling alone or like something was wrong with me. 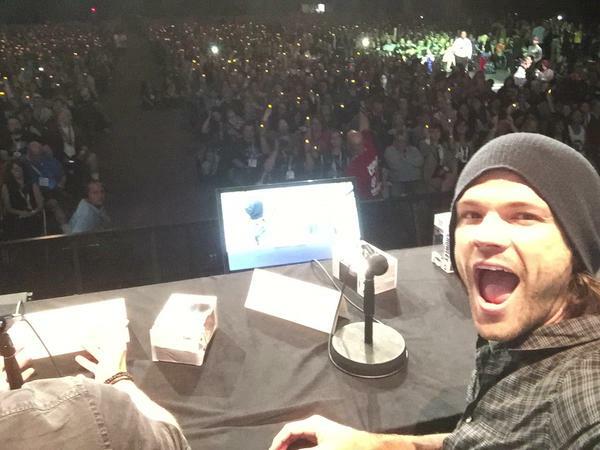 At Sunday's Comic Con, more than 7,000 fans showed their support of the "Supernatural" star by lighting candles. Two months ago, Padalecki cancelled his appearances at two conventions because he was "in desperate and urgent need of my family." He tweeted to his fans, "I need all of the love I can get right now. 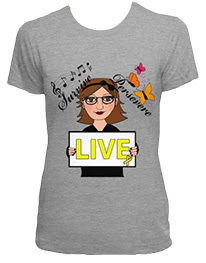 Please please give me a few seconds of your time and write me." And his fans definitely showed him the love last weekend. On Monday, he posted on his Facebook page, "To everybody who held a light for me, please know that I hold my light for you. Though I happened to be the one sitting on stage, I am but one small light in a sea of thousands. TOGETHER, we can and will make a difference! Keep letting your light shine. I will do the same. And, keep fighting. Always Keep Fighting." In a March interview with Variety, Padalecki said he was diagnosed as clinically depressed while filming the third season of CW's "Supernatural." "Maybe a lot of people don’t know this, but Season 3, we were shooting an episode, and I went back to my trailer to get changed and just kind of broke down," he said. "I was 25 years old. ... I was happy with my work, but I couldn’t figure out what it was; it doesn’t always make sense is my point. It’s not just people who can’t find a job, or can’t fit in in society that struggle with depression sometimes." He'll probably never read this, but I wanted to say — "Your bravery to speak up about your struggles with depression have made me and thousands of others feel less alone. Thank you." He inspired me so much, I no longer feel alone. And My future seems to hold more possibilities than ever before.